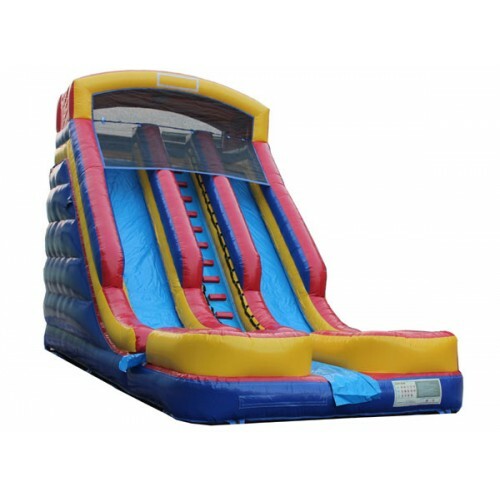 The 20′ Challenger Dual Lane slide is perfect for challenging others to race down the slope to see who gets there first. Decorated in classical bouncy castle primary colours, the impressive 20′ height of this slide stands tall and commands attention. With 2 separate lanes and an easy grab ladder system, this unit works well at almost any event for any age group. Riders will enter the centre lane and make their way up the ladder. From 16 feet off the ground, they can choose a side and slide down. Riders are forced to sit and slide safely with the TSSA certified netting and bumpers at the top preventing falls. Upon sliding down, riders have the opportunity to climb up again or exit through one of the sides. 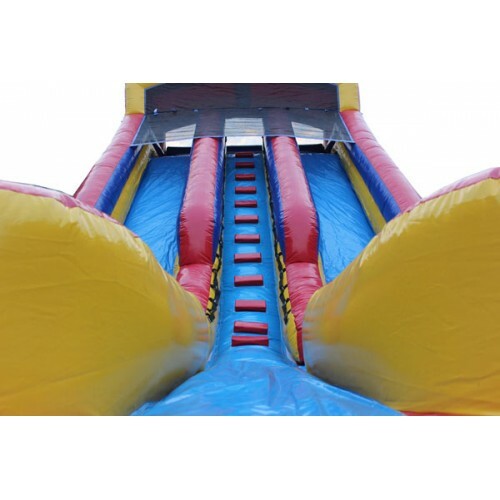 The 20′ Challenger Slide is easily set up by our crew in almost any location. 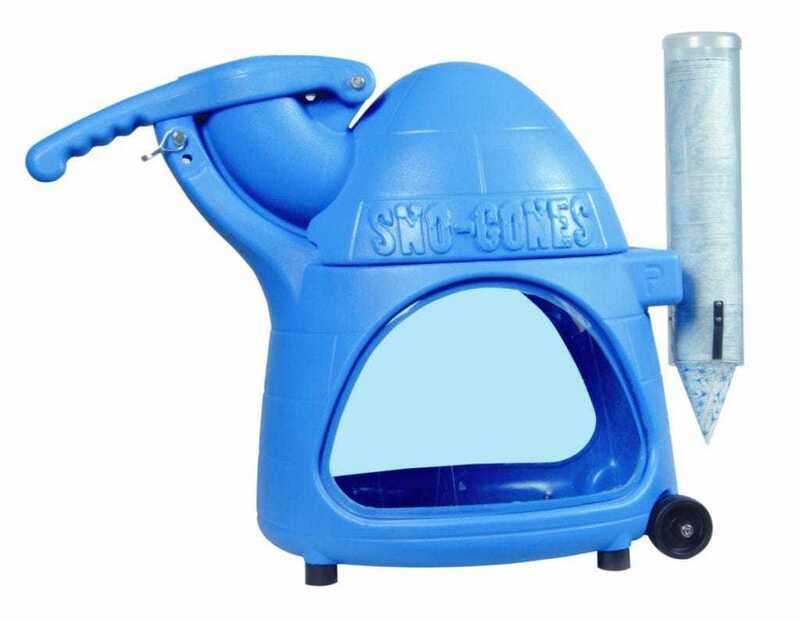 It will be a popular unit with all riders at your event. Be sure to book this unit well in advance as it’s popular and is one of the first to go.